I tend to listen to light classical music, particularly from Classic FM, throughout my working day. It’s on in the background, unintrusive, comforting, never challenging, just there as a pleasant companion. There’s a piece of Peter Maxwell Davies’ work which appears regularly in the Classic FM playlist scheduling, his commercial “hit” if you will, and that is Farewell to Stromness. A simple piano piece with a walking tempo, it’s probably the tune that the general public would now associate most with a man deemed one of the greatest composers in the 20th century, a man who co-founded the now well established St Magnus Festival in Orkney with the poet George Mackay Brown and a man who, for 10 years, held the post of Master of the Queen’s Music, a role held in the past by such luminaries as Edward Elgar. All deceptively urbane and establishment. Indeed the tune itself is fairly simple and unchallenging to the ear, with a baseline written mostly around a D major chord and easily playable, for those that wish to, on a piano. Now, let’s dig a little deeper into the man and his music. A republican and strong environmentalist, he wrote Farewell to Stromness as part of The Yellow Cake Revue, which he performed with actress Eleanor Bron at the Stromness Hotel as part of the St Magnus Festival in 1980, in protest at plans to mine uranium ore (yellowcake) in Orkney where he had lived since 1970, and the town of Stromness would have been only a couple of miles for the centre of the radioactive mining facility. The rest of the cabaret style revue includes works with such titles as “Nuclear Job Interview 1: The Security Guard” and “The Tourist Song: Have you heard of the terrorist suicide squad?” Not so establishment now, eh? You see, for me, that’s the most surprising thing about Farewell to Stromness, just how radically different it is to just about any of his other works. And it’s only by counterpointing his works that you realised that Peter Maxwell Davies was a master of his craft. Take An Orkney Wedding with Sunrise, written in 1985. You can see the simplicity of Farewell to Stromness in this, and there is a strong Scottish influence, with lilting fiddles and Scottish dance tunes that you would hear at any Island wedding. And yet Davies manages to throw in the odd dissonant chord throughout, the odd bit of orchestral “madness” among the fiddle music, keeping the audience just slightly on edge, hinting at the unease between families spoiling for a fight (as is always the case at Orkney weddings) before switching effortlessly back to the lilting face of harmony. As the piece goes on, the minor chords become more apparent and the crispness of the notes is dulled by slurring and grace notes as the Highland Park starts to flow freely and it all comes to a head in a wonderful messy crescendo of strings, percussion and bagpipes in discordant glory. However, to experience Peter Maxwell Davies at his shocking, genius, description defying best there is only one work that I can go to – Eight Songs for a Mad King, a half hour long piece first performed in 1969. The music is by Davies and the libretto, based on the words of King George III, is written by Randolph Stow. It was composed for a single baritone voice, although a highly talented one as the demanded vocal range covers 5 octaves, and only 6 orchestral players – flute, clarinet, percussion, piano, violin and cello. Contrast the excerpt below with the serenity of the benign Farewell to Stromness and it’s almost unbelievable that the same brain, the same imagination, could conceive of two such extreme ends of the musical spectrum. 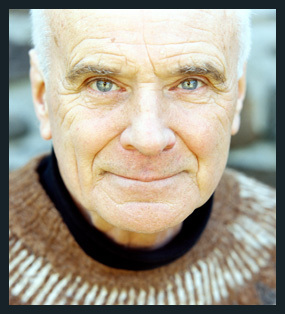 Sir Peter Maxwell Davies, you really were one of the great composers of the 20th Century.